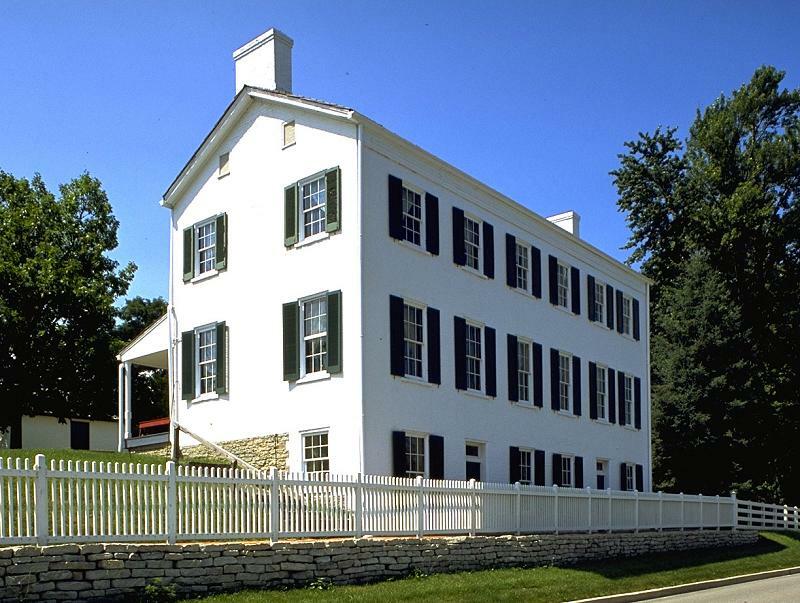 Owned and restored by Indiana Landmarks, the 1841 Huddleston Farmhouse museum offered visitors a glimpse of the daily lives of John and Susannah Huddleston and their 11 children, as well as the travelers who crowded the porches and yard and rented the farmhouse's two "travelers' kitchens" for cooking and sleeping. Today the museum is under renovation as the National Road Heritage Site, where expanded exhibits will offer modern-day travelers a vivid picture of cross-country travel on the Historic National Road from Cumberland, Maryland to Vandalia, Illinois - from the pioneer era to the present. Changes underway! A National Scenic Byways grant is helping Indiana Landmarks make an exciting change at the Huddleston Farmhouse. At the end of August 2009, we suspended museum operations for two years while we create a National Road Interpretive Center at the property, scheduled to open September 10, 2011 during Cambridge City's annual Canal Days Festival. For more information about the project, contact our staff at the Huddleston House, 765-478-3172. The Huddleston Farmhouse is located approximately 60 miles east of Indianapolis and 20 miles west of Richmond on U.S. 40, the Historic National Road.